At Edwards and Co members of our staff are required to make tough decisions every day but one of the hardest decisions we make is selecting our Charity of the year. 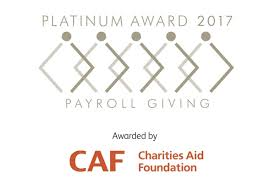 Our decision to appoint a charity of the year recognises that a large number of charitable organisations rely heavily upon donations from the business sector. We also appreciate the increasing difficulties which many Charities face in raising much needed funds. It is regrettable that due to the enormous number of requests we receive for financial support, we cannot provide assistance in all cases. Therefore, choosing one to which we can fully commit is the best way forward. For 2019 we have chosen Bowel Cancer UK as our Charity of the Year. We will work in partnership with them, not simply to fundraise, but to get the message out that bowel Cancer, which claims the lives of over 1 person per day in NI, has a survival rate of 98% over five years if diagnosed at the early stage. This year we are determined to do our best with fundraising, increasing awareness and saving lives in Northern Ireland. Bowel Cancer is Northern Ireland’s second biggest cancer killer. Around 1,100 people are diagnosed with bowel cancer every year in Northern Ireland. However, poor awareness means that only 1 in 10 cases are detected at an early stage which often means it is too late to be treated. Northern Ireland can lead the way in driving towards reducing the number of people who die from bowel cancer and ensure that everyone affected has a positive experience of treatment and care.